Son of Edward and Elsie Eagger. Hare (died 1946); three sons. Medical Dir, Slough Industrial Health Service; retd, 1963. Consultant, 1963-1979. Honorary Colonel 16th (Airborne) Division, R.A.M.C., 05.04.1948-05.04.1953. Son of Albert Edward Earl, and Ethel Emily Burck. Qualified as an optician, 06.1937. Son of Col. Maxwell Earle, CB, CMG, DSO, Grenadier Guards (1871-1953), and Hon. Edith Elisabeth Earle (1874-1947), the elder daughter of the 1st Lord Loch. Married 1st (1939) Marguerite Jeanne Marie Carver (marriage dissolved 1956), second daughter of Herbert Carver; one son, two daughters. Married 2nd (1957) Fenella, only daughter of the late H.C. Whitehouse. From Filkins & Knutford, Cheshire. * Major Earle joined the 1st Bn Grenadier Guards at the end of 1944. Since then he has been with the Bn in all its actions, doing duty as 2IC and, for short periods, in actual command. Throughout he has shown the highest ability in this difficult appointment of Second-in-Command and whilst in command of the Bn. In april 1945 during the absence of his commander on leave Major Earle commanded his Bn in a successful action which resulted in the liberation of the notorius concentration camp of Sandbostel. The action which made this possible was an exceedingly difficult one and one without military precedent. But for Major Earle's calm acceptance of difficulties and his complete disregard for safety when it was necessary to carry out personal reconnaissance under aimed enemy fire it is doubtful if this action would have been concluded as successfully or as quickly as it was with consequently relatively small casualties. ** For outstanding success in the peculiarly difficult but very responsible appointment of Chief Liaison Officer with the XIX French Corps. By his patience and ability he resolved the many intricate problems with which he was faced and the fact that relations with our Allies have always been ensured, is to a great extent due to his personal efforts. *** Chef de la Liaison britannique auprès du 19ème Corps d'Armée Français, s'est acquitté de ces fonctions importantes et délicates avec le plus grand dévouement, une compétence remarquable et la plus parfaite camaraderie de combat. N'a pas hésité pour renseigner exactement les Commandements britanniques et français, à accomplir avec un complet mépris du danger de nombreuses reconnaissances avancées, notamment en Février 1943 dans la région du DJEBEL MANSOUR et du 6 au 13 Mai 1943, lors de la phase finale des opérations de Tunisie, dans la région de PONT-DU-FAHS et de ZAGHOUAN. Education: Wellington College, Berkshire (school perfect and head of dormitory); Royal Military College, Sandhurst (Junior Under Officer, Commandant's Prize. 1st Prize for French); Joint Services Staff College (jssc); Staff College, Camberley (psc); American Armed Forces Staff College, Norfolk, Va. Personal Assistant to the Secretary (1958-1960), then (1960-1961) Secretary of the Royal Naval Lifeboat Institution. Secretary-General, International Cargo Handling Association, 1961-1972. Son of ... Earnshaw, and ... De Wen. Son of George and Daisy Aldridge Easonsmith; husband of Honour Gertrude Easonsmith, of Rudgeway, Gloucestershire; one daughter. Travelling wine saleman based in Bristol. Son of Ralph Eastman (1878-1933), and Margaret Ellen Marsden, of Ealing Common, London W5. Married (1941?, Malta) Yvonne Vassallo; two daughters. * On various dates Lieutenant Eastman, with Captain R.L.J. Jones, RAOC, worked under dangerous and trying conditions and performed acts of considerable gallantry in dealing with large numbers of various unexploded bombs, some of which were in a highly dangerous state and of the German delay type. On one occasion, these officers showed particular gallantry in dealing with an 1100lb. German bomb. Two attempts were made to explode this bomb but it failed to detonate; at the third attempt when it was in a most dangerous state, they succeeded in detonating it. On a second occasion, these officers, assisted by a Master Rigger of H.M. Dockyard, succeeded in removing a 400lb. high explosive Italian unexploded bomb which had been under water for a week in a 20ft. deep well inside a house. This bomb, fused at both ends, was in a dangerous state. It had to be raised to the ground floor by means of a gin, tackle, sling and ropes. This operation was doubly dangerous, as: (a) There was a possibility of the sling slipping while the bomb was being hauled up and (b) The bomb was two and half ft. long, the mouth of the well three ft. one inch wide, and for safety the bomb had to be kept horizontal, if possible, and pulled up thus. Lieutenant Eastman assisted the Master Rigger, guided the bomb from the floor of the well, and Captain Jones went to the top to guide it through the opening. They succeeded in getting the bomb out although there was only a six inch clearance as it came through the mouth of the well. Education: Uppingham School (09.1925-12.1929; Brooklands House); Cambridge University; Staff College (psc); Inspecting Ordnance Officers' course, "B" Branch, RAOC Advanced Training School, Bramley (ioo); Ammunition Technical Officer's course, School of Ammunition, RASC, Bramley (ato). Took over the family dyeing and dry cleaning business, 1933. 2nd son of Col. Hugh de Crespigny Eastwood, DSO (1863-1934), and Ellinor Smyth, youngest daughter of Gen. John Hall Smyth. Married (21.04.1921) Mabel Vivian Prideaux, daughter of late Joseph Temperley; one son. * For conspicuous gallantry and ability during operations on 6th-7th August, 1915, in the Gallipoli Peninsula. He guided the night advance of his brigade with skill and resource, especially when the head of the column came under the enemy's fire. Owing to the severity of the opposition the advance came gradually to a standstill, and at this point Captain Eastwood rendered very valuable service in reorganising the1 column, thus enabling it to continue the advance. 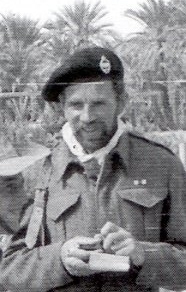 Colonel Commandant, 1st Battalion Rifle Brigade, 14.03.1945-04.09.1951. Justice of the Peace (JP), Wiltshire, 1951. KStJ , 22.06.1945. Son of Arthur and Wilhelmina Eastwood. Education: M.B., Ch.B., M.Ch.Orth., F.R.C.S.E. Honorary orthopaedic surgeon at Wigan Infirmary. Son of L/Cpl. George Eaton, 1st North Staffordshire Regiment, and Florence Lilian Vidler. Son of ... Eaton, and ... Snook. Changed name by deed poll to: Lonsdale-Eccles, David Gordon. Son (with two brothers and one sister) of Marmaduke William Eccles (1892-1952), and Gertrude Lonsdale (1895-1978). * Possibly changed surname from Isaac to Eck. ? Son (with one brother) of John Edgar Eckersley (1871-1943), and Ellen Sheard (1875-1958). Married ((09? ).1950, Ketton district, Rutland) Margaret Elizabeth "Margot" Banks (05.09.1921 - 25.09.1983). Education: Oxford University (scholar 1937; MA). Called to the Bar, 01.1949. Son of ... Edge, and ... Shaw. Vice Patron of the Royal Hong Kong Yacht Club. Only child of Mr & Mrs J. Edmundson, of Orwell Park, Dublin. Education: Emmanuel College, Cambridge (BA Engineering 1935, MA 1946). Assistant to Chairman of Tisons Ltd, Plymouth. Education: Guy's Hospital (MB BS 25.05.1951 Lond). General practitioner, Alderley Edge, Cheshire (Allison, Wallace & Edward). Late House Surgeon & House Physician, St Olave's Hospital; Obstetric House Officer West Park Hospital, Macclesfield. * Recommendation for the award of an immediate Military Cross to WS/Lt. G.W. Edward: On the 22nd April 1945, the Welch Regiment was trying to force a crossing over the canal south of S. Bartolomeo in Bosco in daylight. They were unable to do this due owing to strong enemy positions on the far bank and in the houses beyond. Lt. Edward's Troop was ordered up to support the Welch Regiment. The only possible fire position was the flood bank. This was covered by bazooka and spandau fire. Air reported three Tiger tanks 600 yards away approaching the canal through the close country. Despite this, Lt. Edward immediately took his own tank and his Troop Sergeant's tank to the flood bank to support the infantry. He caused considerable execution amongst the enemy, completely destroying 2 houses which were strong points and silencing sundry spandaus. Then, by skilful use of smoke, he screende the Tigers, enabling a platoon of infantry to cross the canal. Throughout this action Lt. Edward was the aim of considerable shelling and spandau and schmeisser fire, and a bazooka had a near miss before Lt. Edward put it out of action. He stayed in position until no longer required by the infantry. After this, the enemy made no further stand south of the Po. Son of Edward Edwards and Ellen Edwards (née Swann). Married ((09? ).1935, Thanet district, Kent) Dora Winifred Summers; one daughter, one son. Residence: (1942) Petts Wood, Kent. 1908/09 ? Architect (ARIBA, PASI), working as a Senior Architectural Assistant for Woolwich Borough Council in a reserved occupation until he was called up in June 1942. Son of Claude Francis Arthur Egerton (1865-1957), and Alexandra Elizabeth Ritchie (?-1938). Education: Wellington College; Trinity College, Cambridge (BA). Son of James Parker Ekins (1862?-1934), and Augusta Emma Bent (1864-1916). Brother of Capt. Ronald Newman Ekins. Brother of Brig. Maurice Seymour Ekins. Son of Alfred J. and Eileen M.K. Elgar, of Bournemouth, Hampshire. Royal Bank of Scotland; Vice­President: Building Societies Association; National Trust for Scotland; Scottish Council (Development and Industry). Married (12.11.1919, Kensington, London) Isabel Griffin (05.01.1896 - 1978), daughter of Francis William Latimer Griffin and Harriet Witter; one son (W/Cdr. John Francis Durham Elkington, RAF). Partner in a jewellers & silversmiths company. Education: Edinburgh University (MB, ChB 20.07.1939). Son of Hubert William Arthur Elliot-Murray-Kynynmound (1891-1969), and Mary Hestor Owen (1895-1945). Education: King's Mead School; Eton College; Trinity College, Cambridge. Son of Francis Newton Elliott, and of Edith Annie Louise Pulling. Second son (and second of five children) of Prof. Thomas Renton Elliott, CBE, DSO, FRS (1877-1961), physician on the staff of London University College Hospital, and Martha Sara Mary McCosh, of Broughton Place, Broughton, Peeblesshire. Married (30.07.1954) Susan Isobel Mackenzie Ross (1929-), daughter of Phillip Mackenzie Ross, of Kaimend, North Berwick; two sons. Education: Eton College; Trinity College, Cambridge; Edinburgh University. Barrister Inner Temple and Scottish advocate, 1950, standing junior counsel to the Accountant of Court and Minsiter of Aviation. Queen's Counsel (QC) (Scottish Bar), 1963. Chairman, Medical Appeal Tribunals, 1971-1978. Chairman, Scottish Land Court, 1978-1992. President, Lands Tribunal for Scotland, 1971-1992. Brigadier, Queen's Bodyguard for Scotland (Royal Company of Archers). Published: Us and them : a study of group consciousness (1986); Esprit de Corps : a Scots Guards officer on active service 1943-1945 (1996). * Recommendation for the award of an immediate Military Cross to Lt. W.A. Elliott: During the night attack on the Tobacco Factory near Battipaglia on 11th Sept. Lieut. Elliott led his platoon with the greatest bravery and dash. He charged an over-ran with his first section at least 4 enemy Spandau posts. He personally accounted for four enemy soldiers with his own revolver and the section under his guidance captured 14 prisoners as well. Lieut. Elliott was later surrounded with most of his platoon and forced to surrender when enemy Armoured Fighting Vehicles over-ran his position. He shortly after escaped returning to our lines with useful and important information. Rugby player & school teacher. Son of John Roland Ellis, and stepson of John Walton Fogg-Elliot, DL, JP (1867-1933), of Bedburn, Co. Durham. Married (1939) Margaret Sybella Peel (20.07.1911 - 01.1993), daughter of his honour Robert Peel, OBE, QC, formerly county court judge, and Mary Beatrice Peel; one son, two daughters. Residence: (1945) Knowlmere Manor, Clitheroe, Lancaster. Education: Wellington (1920.1-1924); Royal Military College, Sandhurst (1924-1926). Fellow of the Chartered Land Agents' Society (FLAS). General Secretary, National Council of Social Service (Incorporated), 1919-1937; Secretary National Fitness Council, 1937-1939). Published: Welsh Guards at war (1946); Official Histories of the War; France and Flanders, 1939-1940 (1953), and Victory in the West, 1944-1945: Vol. I, The Battle of Normandy (1962), Vol. II, The defeat of Germany (1968). Son (with three sisters) of John Alexander Elmsley (1874-1951), and Lilian Rachel Walker (1878-1961). Married 1st ((09? ).1948, Don Valley district, Doncaster) Mary V. Kent. Son of Clement Elphick (1873-1954), and Grace Judith Wade (1884-1955). Son of Lt.Col. Henry Cecil Elwes, DSO, MVO (1874-1950), and Edith Muriel Hargreaves (1874-1954). Son of Maj. Arther Henry Stuart Elwes, and Millicent Ella Honora Chapman. Education: Marlborough College (01.1920-07.1924; Cotton House). Son of Rev. Cyril William Emmet, MA, BD (1875-1923), and Gertrude Julia Weir. Married (1972) Catherine "Katie" Tinne (née Gough) (died 1993). Education: Sherborne; University College, Oxford. MA, Hon FRES, FLS. Assistant Master, St Edward's School, Oxford, 1931-1957. Entomologist. President, Amateur Entomologists' Society, 1975; Vice-President, Royal Entomological Society 1980-81, Honorary Fellow 1984. Published: The Arakan Campaign of the Twenty-fifth Indian Division. March 1944-March 1945 (1946); many entomological publications. Son of ... Endleman, and ... Hirschenvelt. Born as Simon Endleman, he began using as first name Sydney ("Syd"), later even Sydney Peter ("Peter"). Son of Sidney Henry Englefield (born 1886), and Blanche Caroline Kedge (born 1884). Son of John English, a mining engineer and manager of Heworth Colliery, and Beryl English. Married (1949) Lise Petersen, sister of a member of the Danish resistance; two sons, two daughters. * Captain English when commanding his Company during a night attack led his men throughout with skill and dash accounting for a number of prisoners and scuppering enemy MG posts. He successfully navigated and controlled his men over a long advance in the dark arriving on his detailed objective when he organised them for defence. Being hte most forward infantry during the day his position was under continual MG and shell fire and in close proximity to enemy tanks. When his Company was withdrawn after suffering a number of casualties, he remained behind on the position until they had all been evacuated. This officer showed great skill and leadership throughout this operation. ** This officer commanded the Carrier Platoon for 26 months and he trained them to a very high standard both tactically and mechanically and by personal example imbued an alertness of mind and aggressive spirit. During active operations he was always in the forefront of offensive and recce patrols. On 5 June he was in command of a mobile column of carriers doing a sweep across enemy Lines of Communication with the task of destroying enemy material. By offensive action his patrol destroyed MET and captured 5 lorries, attacked and captured one enemy tank taking the crew prisoner. On 6 June his small Carrier force by rapid shock action successfully attacked and captured 20 Officers and 210 Italian Other Ranks from dug in positions. Throughout all these operations he has shown personal disregard for danger and set a fine example of leadership. *** Major English was commanding an assault Company during the attack south of Plesses Gronoult on August 9th 1944. Whilst moving up to the start line, his Company was heavily shelled, but he moved about amongst his men completely exposed and showing an absolute disregard to the fire and got them to the start line. Throughout the whole advance he was in front leading his men and encouraging them on through enemy artillery and mortar fire which was exceptionally heavy, and his Company was continually suffering casualties. The Company on his left lost its officers and dropped well behind his Company, but nevertheless he pushed relentlessly forward mopping up any enemy on the way and taking over 50 prisoners. He was the first on the objective and soon cleared up the enemy. He reorganised now his much depleted Company on only 50 men whilst under very heavy fire and held the position till the other Companies got to him. Throughout the action Major English showed complete disregard for enemy fire and his own safety. His leadership, cheerfulness and devotion to duty did much to ensure the capture of the objective and his supreme confidence in himself showed itself to his men. he set an example of fortitude which was an inspiration to all ranks. Went to Selwyn College, Cambridge, to read for a degree in agriculture and became an adviser Fisons, the fertiliser manufacturers. Founder member (1989) of the Monte San Martino Trust, raising money for the education of the children of the Italian peasants who had come to his aid in 1943, by sponsoring walks along the route he and many others had taken. Son of George Murison Erroll, engineer, and Kathleen Donovan Edington, both of Glasgow and London. Married (1950) Elizabeth, only daughter of R. Sowton Barrow, Exmouth, Devon. Engineering Apprenticeship, 1931-1932; Cambridge University, 1932-1935; Engineer at Metropolitan­Vickers Electrical Co. Ltd, Manchester, 1936-1938. Member of Parliament (MP) (C) Altrincham and Sale, 1945-1964. A Director of Engineering and Mining Companies until April 1955; Parliamentary Secretary, Ministry of Supply, April 1955-November 1956; Parliamentary Secretary, Board of Trade, 1956-1958; Economic Secretary to the Treasury, October 1958-1959; Minister of State, Board of Trade, 1959-1961; President, Board of Trade, 1961-1963; Minister of Power, 1963-1964. Member, House of Lords Select Committee on Science and Technology, 1985-1991. President, Consolidated Gold Fields, 1982-1989 (Chairman, 1976-1982); Chairman: Bowater Corporation Ltd; Whessoe plc, 1970-1987 (Consultant, 1987-1990); ASEA Ltd, 1965-1984; Fläkt Ltd, 1971-1985; Gen. Advr, ASEA, Sweden, 1965-1986. Member: Council Inst. Directors, 1949-1955, and 1965-1987 (Chm. Council, 1973-1976, Pres., 1976-1984, Chancellor, 1984-1987); NEDC, 1962-1963. President: Hispanic and Luso­Brazilian Councils, 1969-1973; British Export Houses Assoc., 1969-1972; British Exec. Service Overseas, 1972-1985; UK South Africa Trade Assoc., 1979-1984; World Travel Market, 1986-1996; Vice­President: London Chamber of Commerce, 1969- (Pres., 1966-1969); Inst. of Marketing, 1983-1992; Automobile Assoc., 1986- (Chm., 1974-1986). Dep. Chm., Decimal Currency Board, 1966-1971; Chm., Cttee on Liquor Licensing, 1971-1972; Pres., Electrical Research Assoc., 1971-1974. Trustee, Westminster Abbey Trust, 1978-1986. FRSA 1971. Chairman, Bowater Corporation, 1973-1984. Son of Alan David Erskine, OBE, and Enid Rate. Married (01.03.1945) Marie "Mariora" Beatrice Evelyn Rochfort Hankey, daughter of Col. Cecil George Herbert Alers Hankey. Mary, elder daughter of late Sir Frank and Lady Fox, Sydney, Australia. * For conspicuous gallantry and devotion to duty during several days of rearguard actions. As Adjutant to the battalion, his personal courage and unflagging energy were a splendid example to all ranks. Although knocked over by a shell early in the operations, he overcame the shock by sheer will power, and continued his duties totally regardless of personal danger. His coolness and ability in the hazardous task of collecting information and keeping control of the situations as they arose, and the value of his services to his commanding officer cannot be estimated. Military lecturer, broadcaster, journalist and TV advisor. President, W. Wittering Horticulture and Produce Association. Son (with three brothers and one sister) of Frederick Charles Eva (1870-1915), and Annie Bettison (1874-). Education: Medical School, University of Cardiff (BSc, MB BCh Wales 1952; MFOM RCP Lond. 1978; DObst RCOG 1954). Area Medical Officer, National Coal Board, South Wales Area, Cardiff. Employment Medical Adviser. Employment Medical Advisory Service. Member British Medical Association & Society of Occupational Medicine. Author of papers on exercise physiology. Son (with three brothers and four sisters) of Sgt.Maj. William George Evans (1868-1947), and Sarah Huggard (1872-1926). Education: Bradford Grammar School for boys (Junior Division, Officers Training Corps); Sheffield University (Senior Division, Officers Training Corps) (B.A. First Class Classics Degree 1935); University of Leeds (Diploma in Teaching 1936). Teacher, Hookergate Secondary School, Rowlands Hill, Co. Durham, from 1937, then Thornton Grammar School from 1948, then Swanwick Hall Grammar School from 1960 to 1975. Son of William Pawlett Evans and Olga Evans, of Maidenhead, Berkshire. Married 1st (1919) Enid Jocelyn Agnew (? - 1921), daughter of Philip L. Agnew, of Farthingston, Northamptonshire; one son (died on active service 1942). Commander, Order of the Crown (Belgium), 1932. Education: Staff College (psc); Imperial Defence College (idc). Colonel, 5th Battalion Royal Inniskilling Dragoon Guards, 23.11.1937-1947. Deputy Lieutenant (DL), 1947; Justice of the Peace (JP), 1949; County Alderman, 1957, Somerset; High Sheriff, 1957. Chairman, Somerset Territorial Army Association, 1948-1953. Son of Thomas Stephen and Beatrice Florence Evans. Husband of Joan Phyllis Doreen Evans, of Musbury, Devon. Son of Col. Frederick John Evelegh (c.1852-1907), and Moriet Frances Creagh (c.1860-1952). Married 1st (17.06.1925, All Saints' Church, Pendleton, Clitheroe district, Lancashire) Augusta Evelyn Rosemary Aspinall (1904? - 10.11.1926), only child of Maj. John Ralph Aspinall, of Standon Hall, Clitheroe. * For conspicuous gallantry and devotion to duty. At the commencement of the war he was wounded in five places while with the 2nd Signal Company, and was sent home. In December, 1914, he returned to France with the 27th Divisional Signal Company, and since his return he has worked incessantly superintending the repair of cables and almost daily under fire. He has set a nne example to all by his energy, courage and devotion to duty. Education: Royal Military Academy, Woolwich. 2nd cl. Master Gunner ? Son of Edwin John Evershed and his wife, Florence Edith Richardson. Qualified as a solicitor, 1932. Son of James Oliver and Flora Livingstone Ewart, of Taynuilt, Argyllshire; husband of Margaret Armstrong Ewart. Served in the Civil Service. Went back to working for the National Assistance Board helping refugees to resettle. Elder son of Col. Frank Simeon Exham, DSO, RAOC (1875-1951), and Frances Mary Body (1881-1968). Brother of Maj.Gen. Robert Kenah Exham. Married (1927) Joan Eleanor Stewart Hamilton (05.10.1901 - 12.1995), daughter of Alan Woodforde Ball Hamilton (1870-), of Maidenhead; no children. Education: Radley College (lent term 1918-summer term 1921; G House; F XV 1920); Royal Military College, Sandhurst; idc, psc. Colonel, The Duke of Wellington's Regiment, 1958-1965; Honorary Colonel, 6/7th Battalion The Royal Welch Fusiliers, TA, 1964-1971. Younger son of Col. Frank Simeon Exham, DSO, RAOC (1875-1951), and Frances Mary Body (1881-1968). Brother of Maj.Gen. Kenneth Godfrey Exham. Married (06.11.1940, St John's Church, Ranmoor, Sheffield, West Riding of Yorkshire) Avril Mary Price ((06? ).1920 - 2012), elder daughter of Maj. Frank Langley Price (1884-1963), and Constance Mary Winder (1886-), of Sheffield; two sons. NW Frontier of India Medal & Clasp. Education: Radley College (1921.2-1924.3; G House; F XV 1924); Royal Military College, Sandhurst; idc, psc.